Vacuum quenching furnace is composed of a heating furnace cover and mobile chassis, is now very advanced vacuum heat treatment equipment, its outstanding performance and unique design provides a wide range of high speed steel, die steel, stainless steel, alloy steel, titanium alloy materials such as high precision parts of the vacuum gas quenching, annealing, light magnetic material sintering and rapid cooling, etc. The arrangement of electric heating elements, control mode and process, furnace door structure and other related design are guaranteed. In 100 ~ 650 ℃ can realize accurate temperature control, system is stable and reliable, simple operation, to avoid man-made wrong operation, complete function, etc. 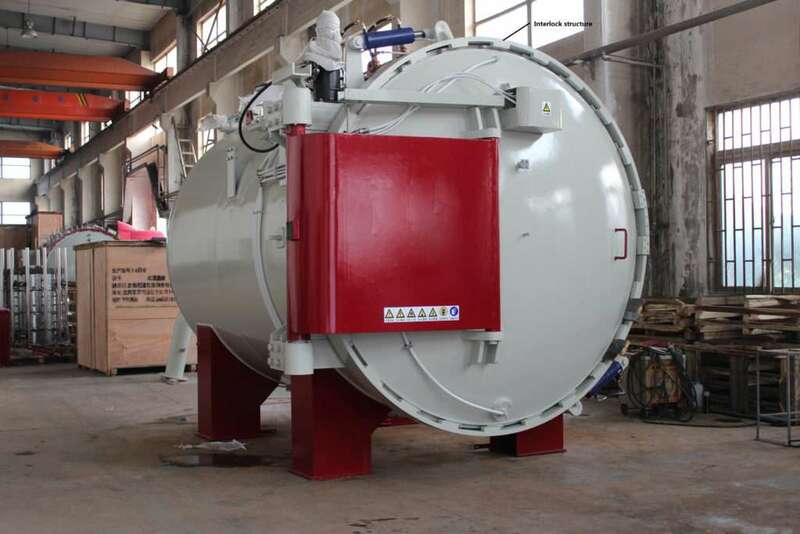 The furnace bottom is to open door, double speed lifting mechanism, advanced mechanical system, make quenching move fast, reliable, time can adjust according to the user process request.